The tragic legacy of Jacobson v. Massachusetts not only haunts public health law making in the U.S., it has come to define it. 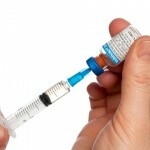 If you wonder why this summer CDC officials boldly announced they want more police power to yank you off a plane and put you into involuntary quarantine because they believe you might get measles, you can thank the Supreme Court.6 If your healthy unvaccinated child has been kicked out of school while sick vaccinated children are allowed to stay7 – or if you have been fired from your job because you said “no” to getting a flu shot8 – look no further than Jacobson v. Massachusetts. saw the red flags immediately. world, and he has given countless interviews worldwide. weeks at the New York Theater Workshop, co-starring with Steve Cuiffo. Miller served as director of film studies at Johns Hopkins University. Dr. Suzanne Humphries attends a meeting called “Confronting Vaccine Resistance: Strategies For Success” at NYU Langone Medical Center in New York, New York on November 21, 2016. This meetings speakers were Senator Richard Pan, Dr. Paul Offit and Dorit Rubenstein Reiss. Afterwards she comes out to the VaxXed Bus to share what happened. Camera and editing by Joshua Coleman. Many health activists maintain that the U.S. government willfully ignored evidenceshowing that MF59 in anthrax vaccine triggered Gulf war syndrome. Initially the Department of Defense denied squalene’s presence in the compulsory vaccines, but the FDA found evidence of the substance, and tests detecting anti-squalene antibodies in Gulf War Syndrome patients provided a clear link.